Peter qualified as a doctor at St Bartholomew’s Hospital in 1964. He spent 12 years working within the UK National Health Service, and also has 36 years’ experience of healthcare delivery in many of the world’s poorest countries. Between 1973 and 1982, Peter worked in Ghana, Tanzania, and Papua New Guinea as a paediatrician with responsibility for childcare in government hospitals. He joined The Save the Children Fund in 1983 as health adviser to the fund’s global campaign to stop polio and subsequently became senior health adviser, responsible for all aspects of Save the Children’s work in the health sector. 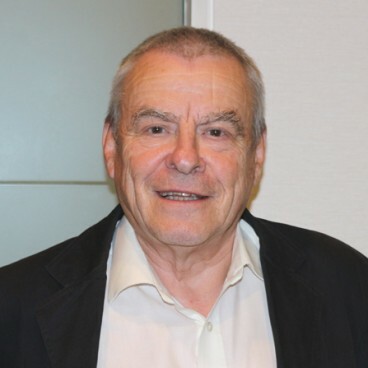 Peter has published widely on international health issues, and his special interests include the quality of primary healthcare and the sustainability of healthcare delivery systems. He has taught postgraduate and undergraduate students, doctors, nurses and paramedical staff in the UK, Tanzania, Ghana, Vietnam, Papua New Guinea, Spain, Sweden, Norway, Belgium and Mexico. Peter has worked as a consultant for a range of development agencies, including the World Health Organization (WHO), UNICEF and the World Bank. He was a core member of the Financing Task Force of the Global Alliance for Vaccines and Immunisation (GAVI), and the alternate NGO representative for northern NGOs on the board of the Global Fund to Fight Aids, Tuberculosis and Malaria. Peter has also served on the Overseas Committee of the British Paediatric Association, the Council of the Liverpool School of Tropical Medicine, the editorial advisory board of Health Policy and Planning, and the boards of Health Unlimited (now ‘Health Poverty Action’), The Malaria Consortium, The Liverpool Associates for Tropical Health, INTRAC, ECHO and Medact. Peter was awarded the OBE in 2001.